The report said the “Panchen Lama” promised to learn from the example of the 10th Panchen Lama “to unswervingly safeguard national unity and ethnic harmony”. 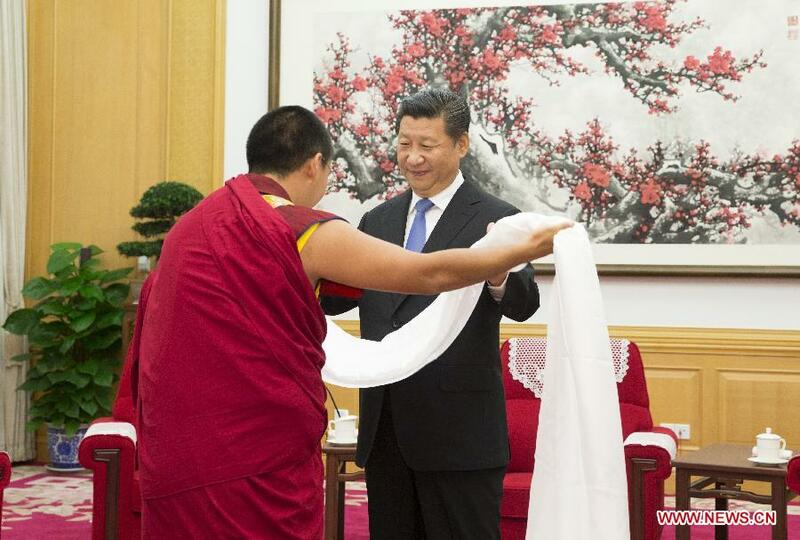 It added that he also promised to bear in mind President Xi’s advice, to learn hard and work vigorously to make his contribution to Tibetan Buddhism and socialist construction, so as to live up to the expectations of the people. Yu Zhengsheng, chairman of the National Committee of the Chinese People’s Political Consultative Conference, was reported to have also attended the meeting. The meeting took place in the party’s Zhongnanhai leadership compound in central Beijing, reported Reuters Jun 10. It said the meeting was telecast on state television in its main evening news bulletin. The meeting appears to be in connection with China’s marking of this year as the 50th anniversary of the establishment of Tibet Autonomous Region (TAR). The report said the central authorities will send delegations to TAR to celebrate with local people. Given China’s leapfrog development plans for the region, Xi has said he was convinced that the TAR will achieve the goal of building a moderately prosperous society together with other regions of the PRC by 2020. The Panchen Lama is the second most influential religious leader in Tibetan Buddhism. Tibet’s exiled spiritual leader, the Dalai Lama, in Apr 1995 recognized Gyaltsen Norbu, then six years old, as the reincarnation of the late 10th Panchen Lama. Within days the Chinese government took him and his family away, to be never seen or heard from again. And it got another boy, Gyaltsen Norbu, to be installed as the 11th Panchen Lama. Hey I love this image, was wondering if I could get a higher resolution version and permission for use on a project?